Picture this: You have a great B2B company (not too hard to imagine, right?). Your team does great work for great clients. You know without a doubt that if more prospects knew about you, you could grow your business like crazy! If you're like many of the B2B companies we talk to, you live that story every day. You know that your website should be the lynchpin for building awareness. Alas, it just seems broken, and the fix has always been a new website that produces the same poor results. 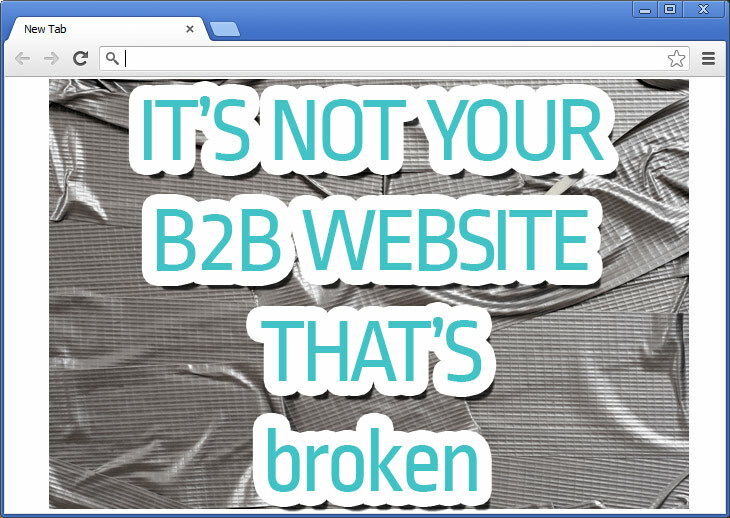 Your B2B Website Isn't Broken. We all love the smell of a freshly redesigned site, but it's rare that your design is the problem. Your website is only a tool in your toolbox. While necessary, it's not the be-all-end-all of online success. While poor development, design, or SEO decisions can impact performance and ranking, it's much more likely that how you're using your tool is the root of the problem. Even if you correct the development and SEO problems, chances are you still won't get the result you're after: leads and sales. A redesign will treat the symptoms, not cure the illness. Your B2B Marketing Strategy Is Broken. Here's Why. You know you need to market on the web. Unfortunately, you probably lack the expertise to get results. Most B2B websites are the equivalent of a trifold brochure or company folder. They speak at length about how great the company is. They highlight capabilities. They provide a nice history. They maybe have a testimonial or two. These are all great things to have on your website, but they won't generate leads and sales. Your Website Is About You. That Needs to Change. Your inbound marketing strategy should start with identifying buyer personas and their buyer's journey. You can find a complete guide to personas here. If you want these people to come to you, you have to understand how they think. What are they interested in? What drives them? What are their pain points? From there, you can tailor your site to their needs. Fill it with content that answers your buyer persona's FAQ. Write for them, not you. Speak to the concerns they have throughout their entire buyer's journey. Your best buyer's aren't going to start by searching for your product. Surprise: they don't do that until the very end of the buying process. They start with symptoms and options for solving their problem. 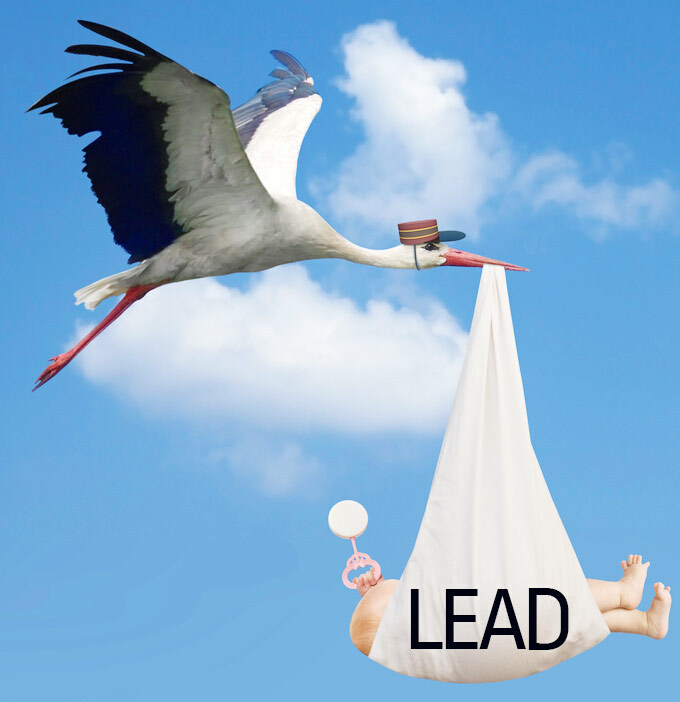 Mommy, Where Do Leads Come From? When a visitor loves a website's content very much, they give their contact information in exchange for premium content. That's how leads are conceived. Your problem? You're trying to skip the conception stage (the FUN part, right?!) and jump right to delivering... nothing. You're not capitalizing on the 99% of visitors who aren't ready to buy. They don't want to ask for a quote, and they don't want to speak to a sales person. So what else are you offering them? Leads have to convert before you can close them into sales. These website visitors don't want to chat, but they WILL download things they find valuable. They want resources that will help them make the best decision. They're happy to provide their email address and name in return. Once they convert, you can to nurture them along until they trust, respect, and want to purchase from you. Let's be honest: your website isn't exactly a hopping social network like Facebook. Your visitors are more likely spending their time on other blogs, social media sites, and content sharing platforms. That means you need to be where the party is. Don't stubbornly sit on your Internet Island and scream at people to come visit. Go where they already are. Your website is the final destination you want prospects to visit, but they're not going to hop in your candy van just because you asked. being active on the social channels your prospects use. Think of your website as the center of a much larger online ecosystem you should be involved with. If your website isn't producing leads and sales, it's likely that your website isn't the problem. It's your marketing strategy that's broken.